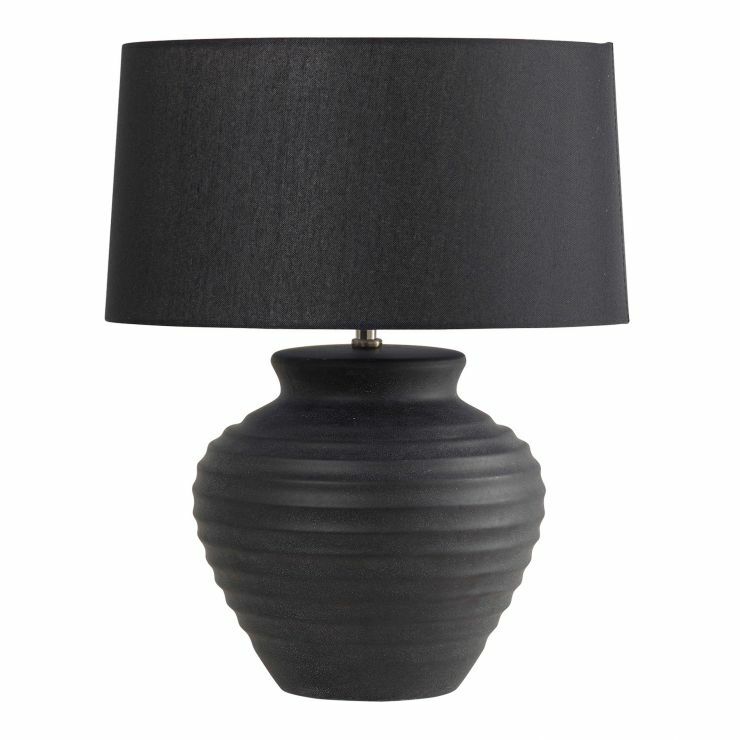 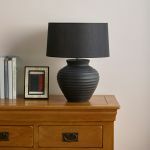 Charcoal coloured ceramic lamp base with black linen cylindrical linen shade. 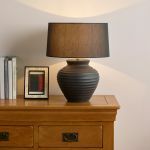 Spend over £1,500 spend and receive free. Shop online now.